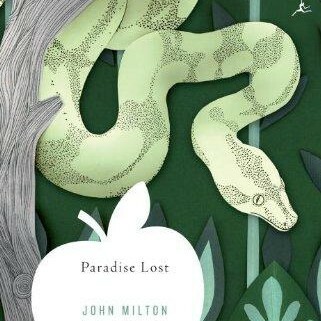 One of 17th century’s most notable pieces of literature, John Milton’s Paradise Lost takes on the story behind humankind’s first disobedience resulting in the banishment of Adam and Eve from paradise. Throughout the epic poem, Satan is set in different positions that underline his constant efforts to be in battle with God in order to defeat Him eventually. At the beginning of the story, Satan, together with other fallen angels, creates Pandemonium in hell to serve somewhat like their home turf, their headquarters wherein they decide to destroy humankind as their assault. All the back story Milton put into his poem are exceptionally remarkable. His character of Satan as a persistent sinister may actually be found interesting by the readers. Milton also draws attention to the roles of a number of angels in the delivery of God’s plans. They also serve as warriors and defenders of heaven that is in constant risk of being attacked by they own kind who betrayed them. Through Satan’s shrewdness, however, he is able to trick Eve as he is in the form of a snake. This scene leads to what we know as the fall of Adam and Eve. And Milton gives the Son the part of giving out the punishments of God, putting Him in the light of His Father’s right hand. The English poet’s power in storytelling does not end in the banishment of the pair though. He continues and brings Adam the vision of what to come in the generations after him. In spite of its length, Milton’s Paradise Lost strongly mirrors the political and social milieu of his day. Both reflective and informative, it is a challenge to the mind and an assessment to one’s beliefs.